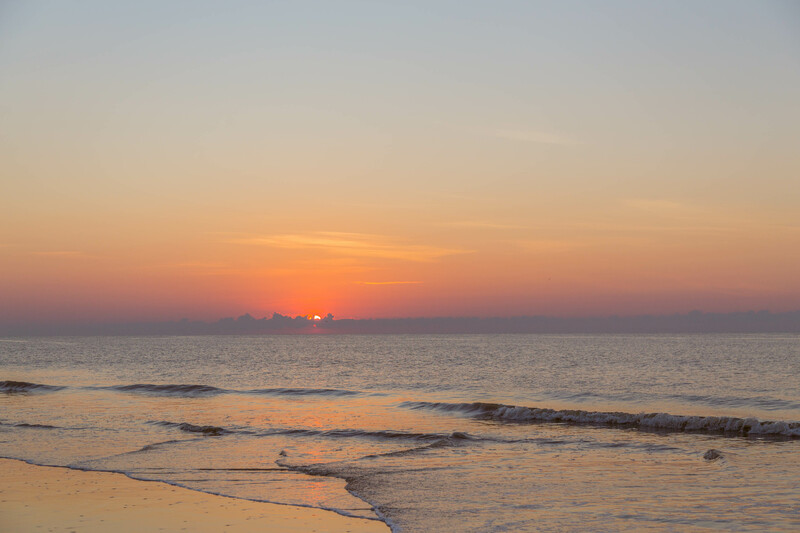 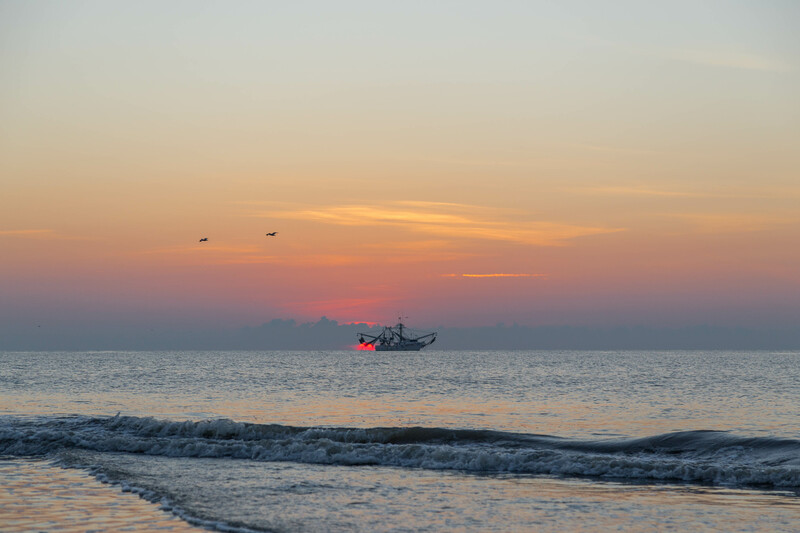 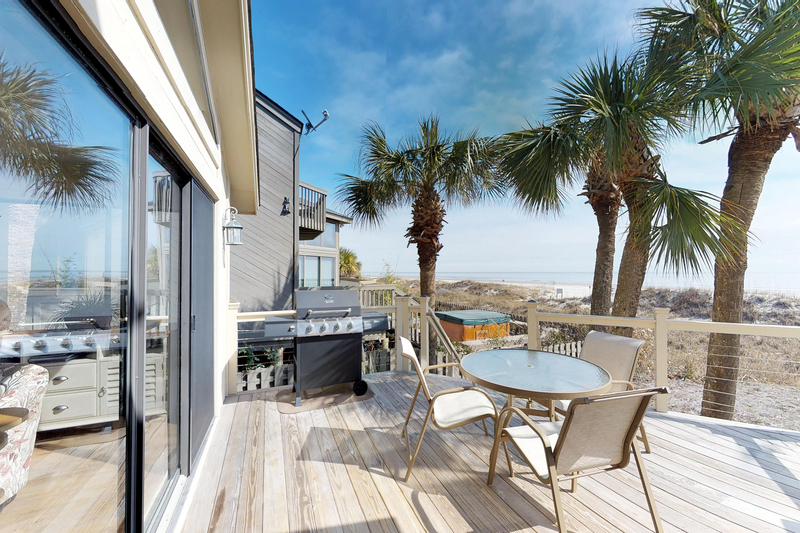 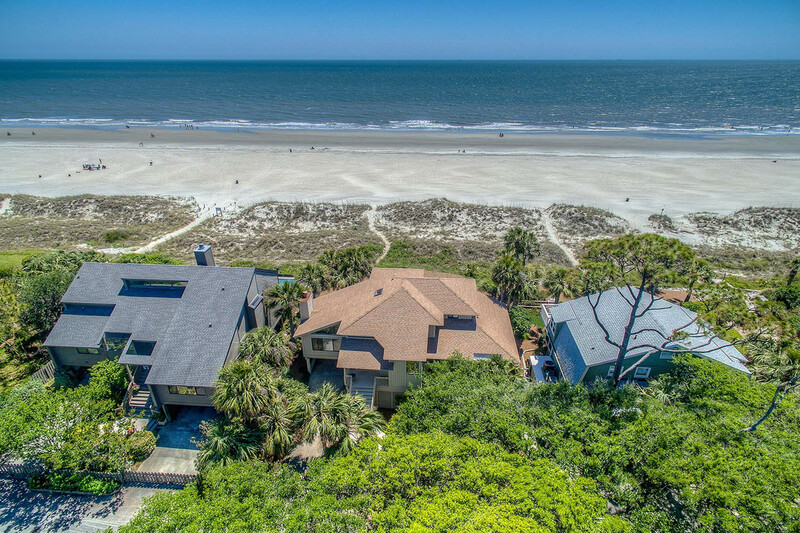 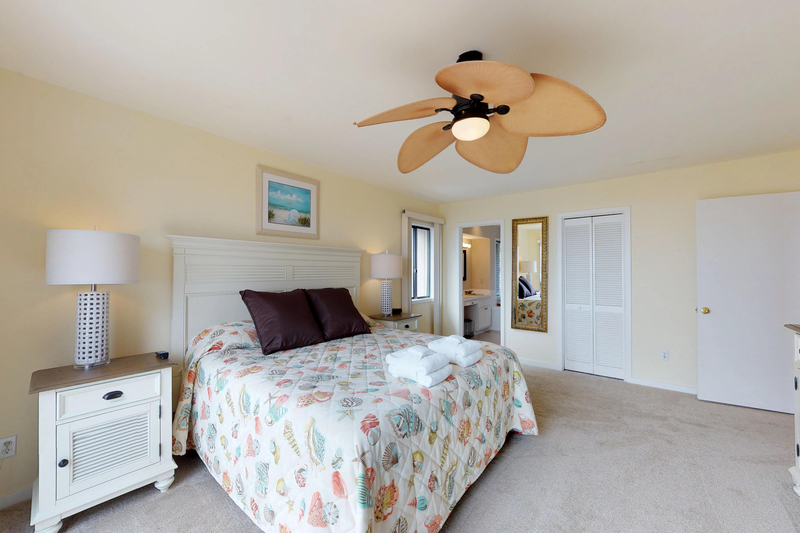 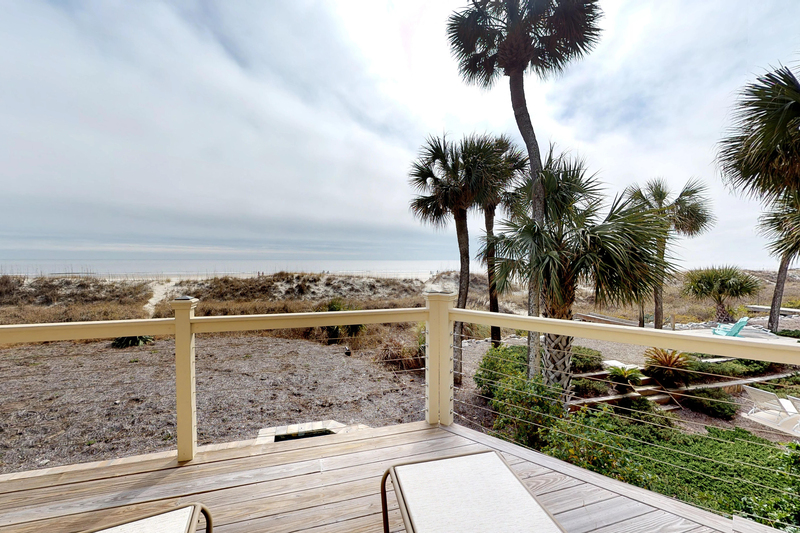 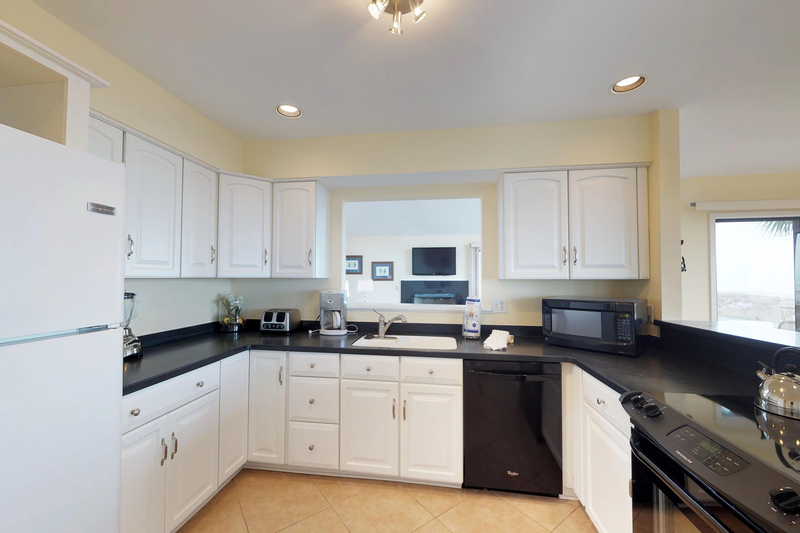 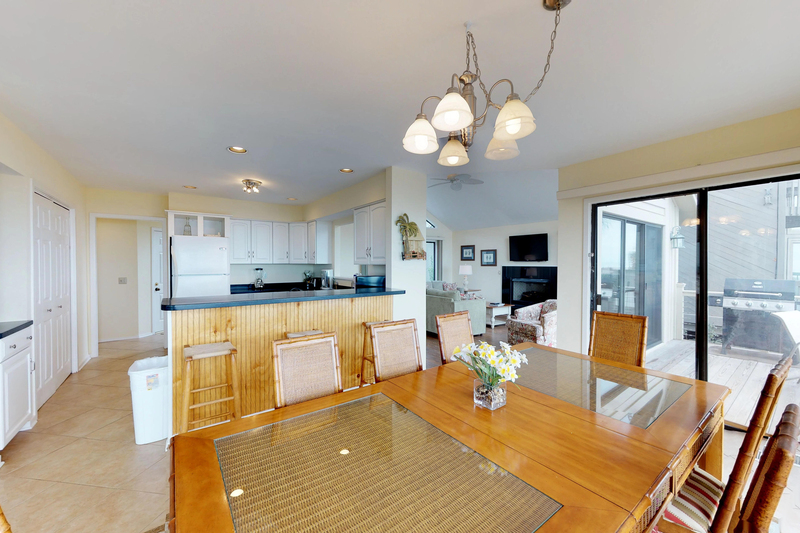 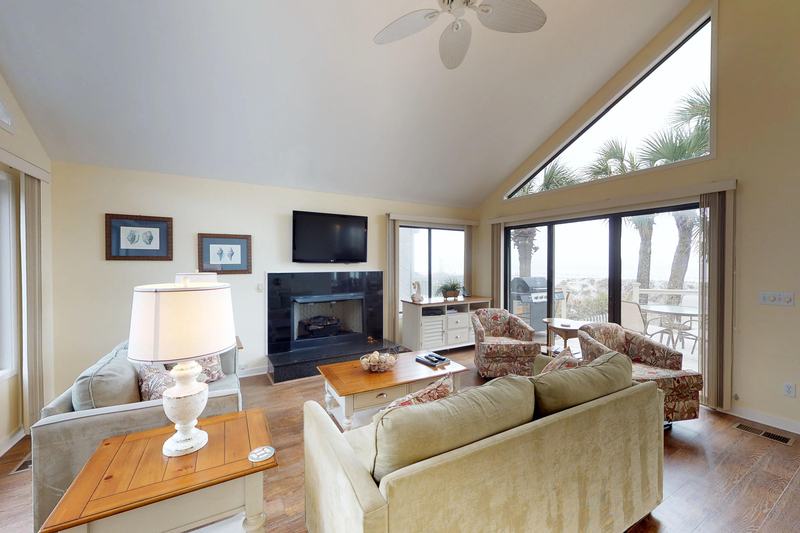 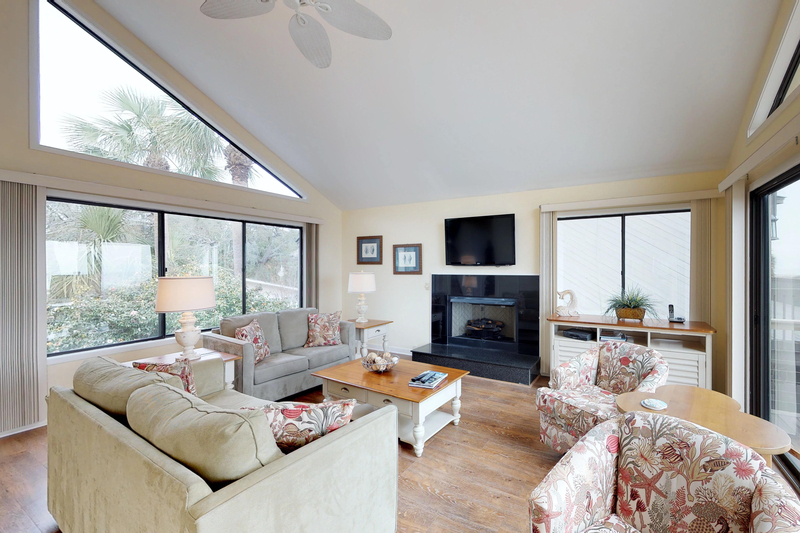 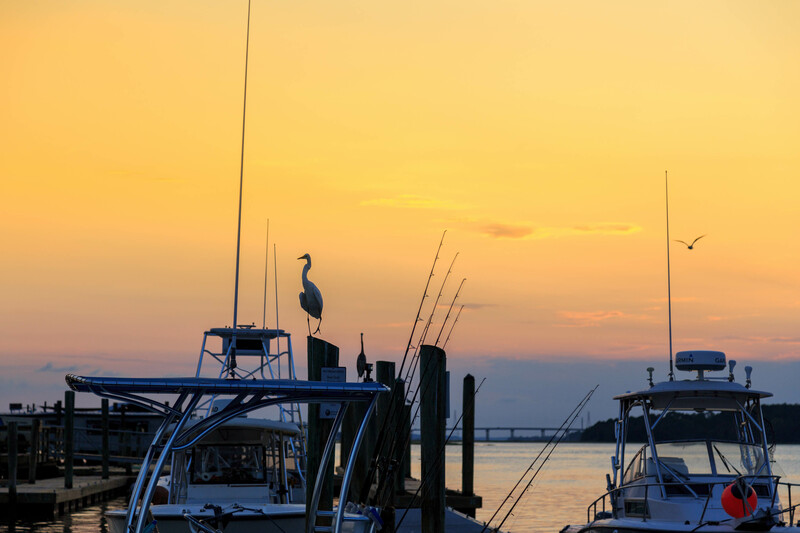 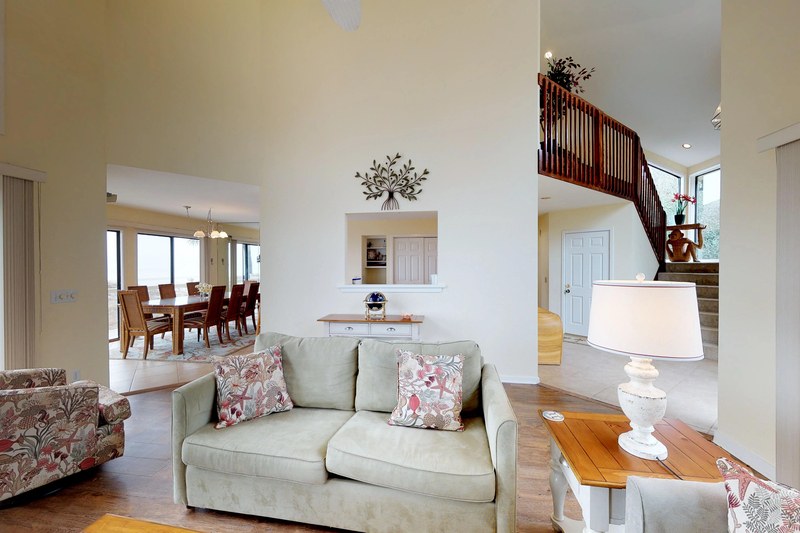 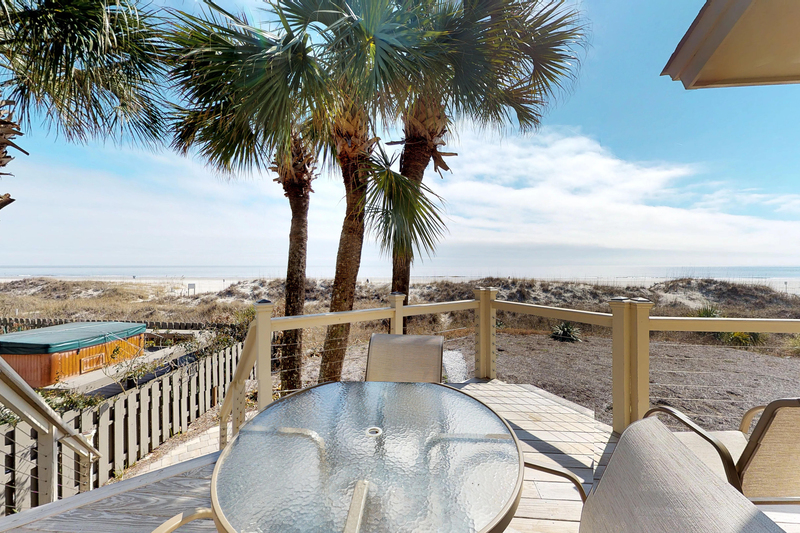 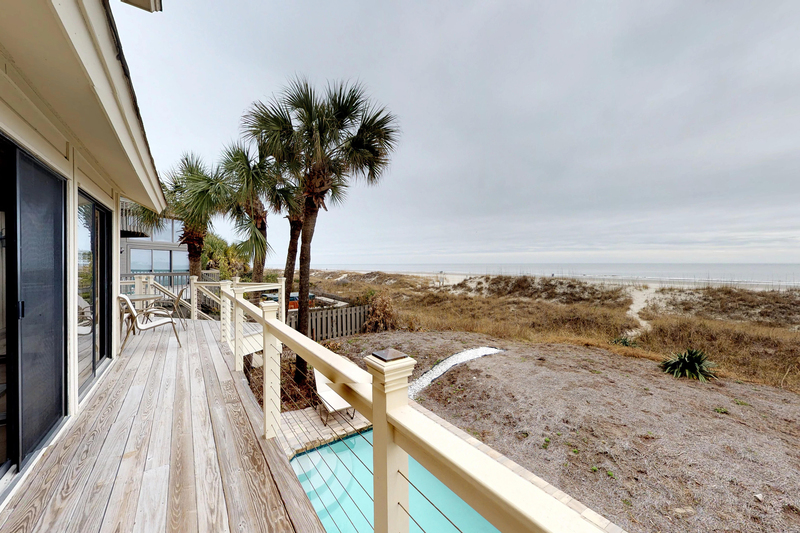 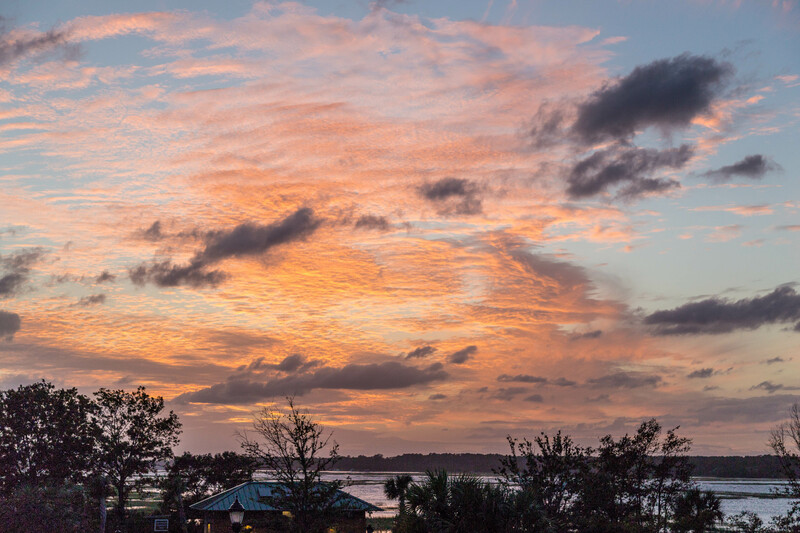 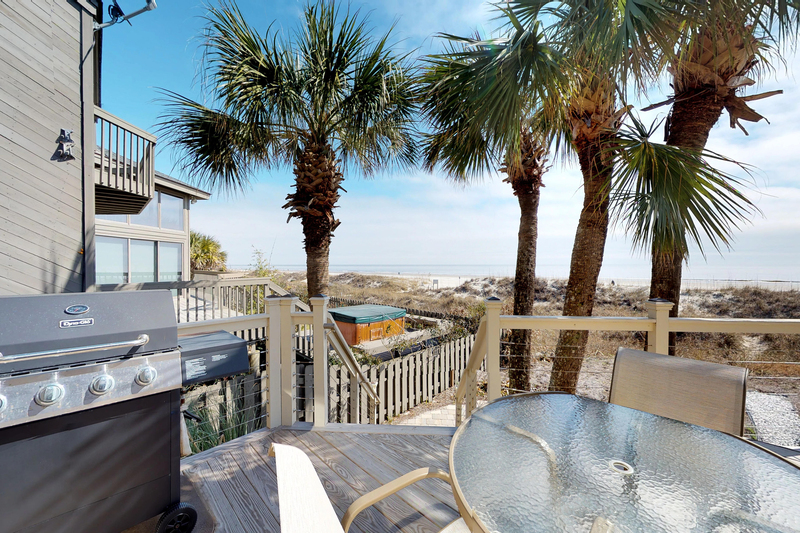 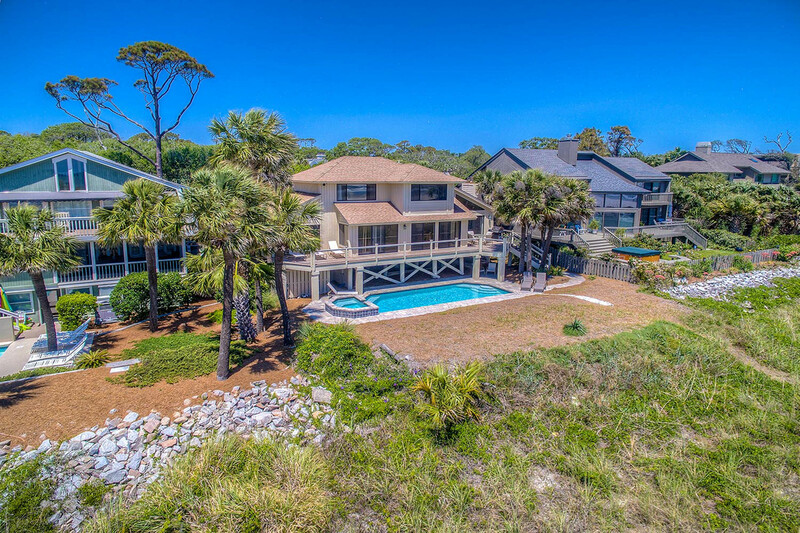 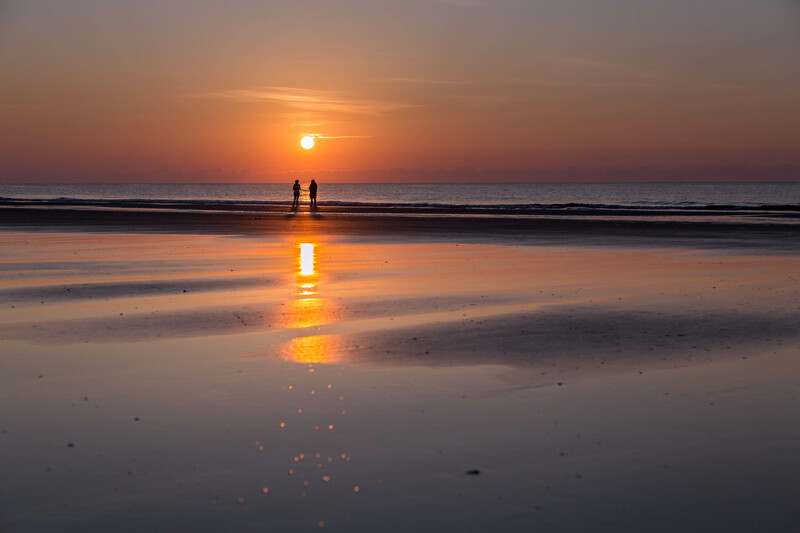 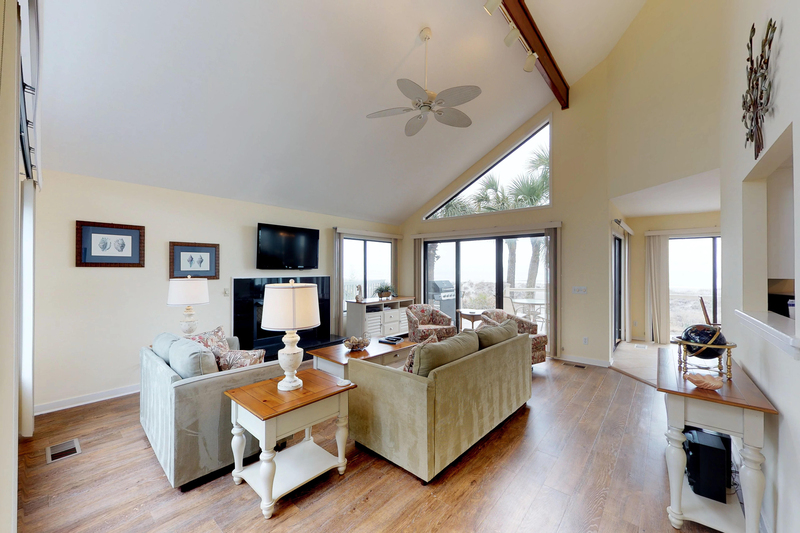 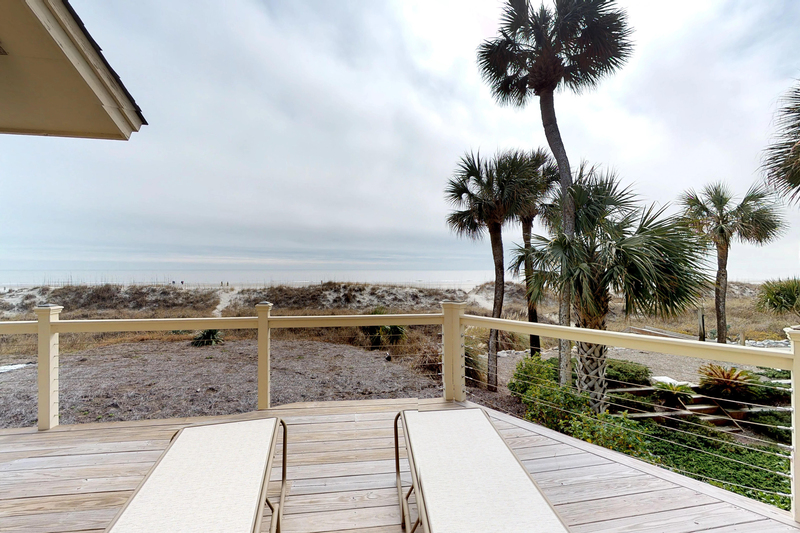 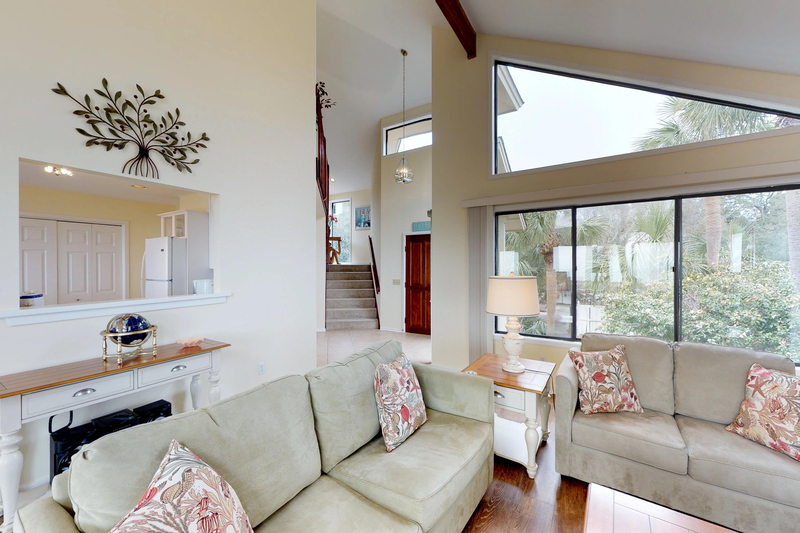 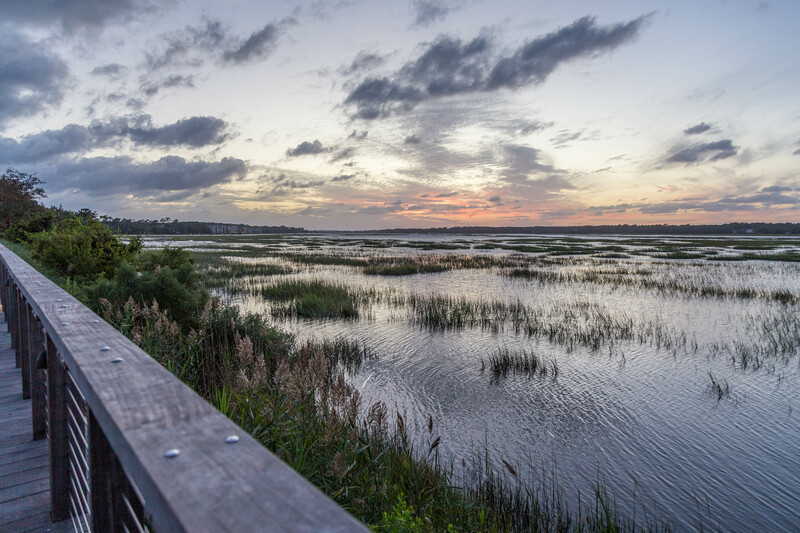 Come experience an oceanfront vacation at Ocean Dream in North Forest Beach. 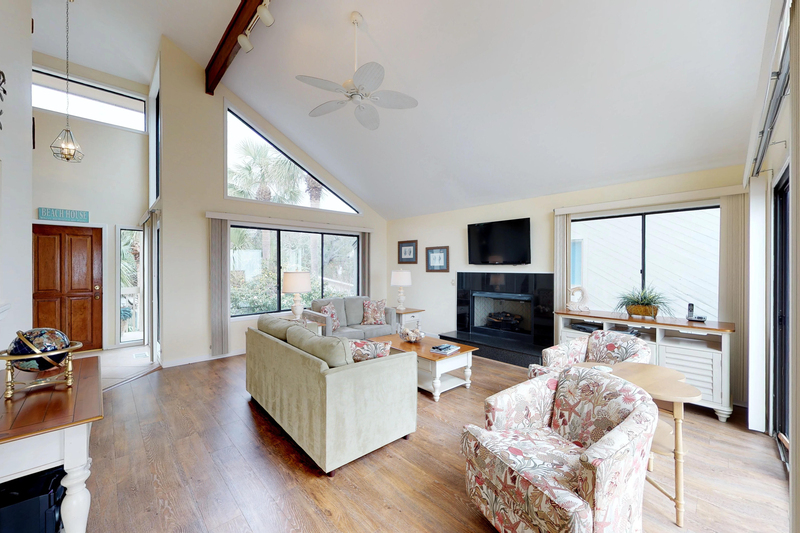 The open living area has a vaulted ceiling that gives a spacious feeing, new planking, a 47" flat screen TV, and a DVD player. 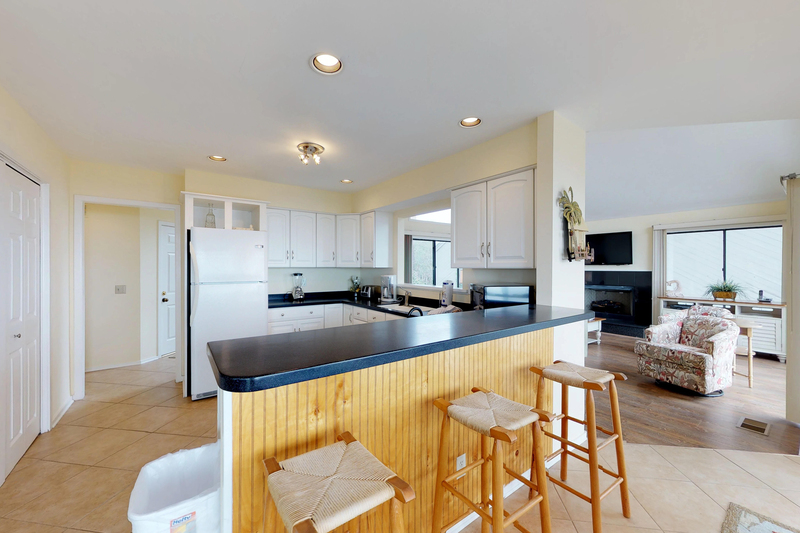 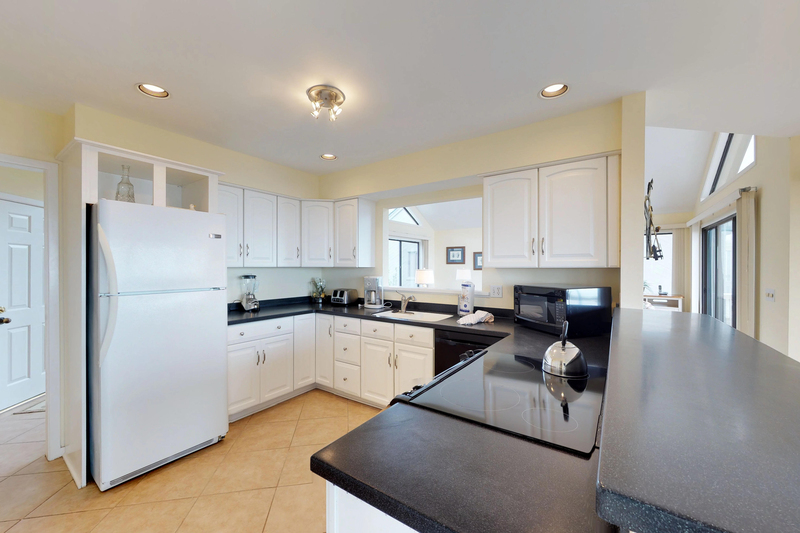 Next to the living area is a kitchen and dining room which feels like one room separated by a breakfast bar. 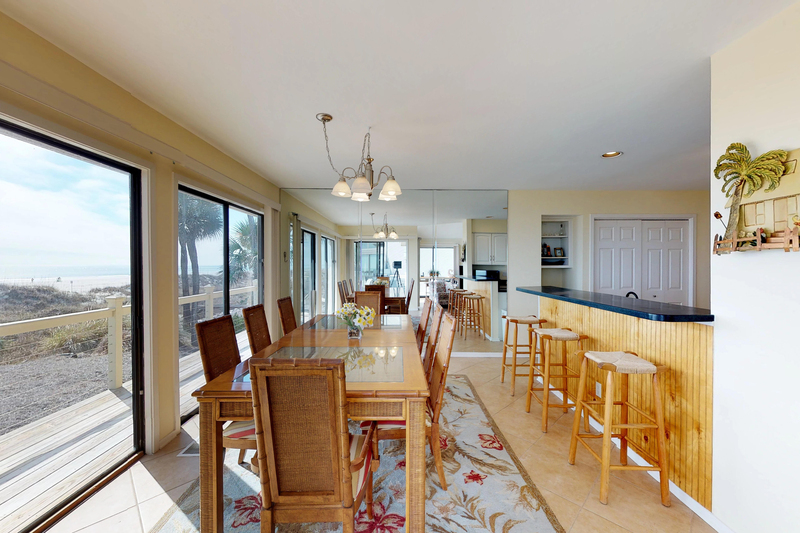 The living room, dining room, and kitchen areas all have scenic views of the ocean and ceramic floors that carry into the hallway. 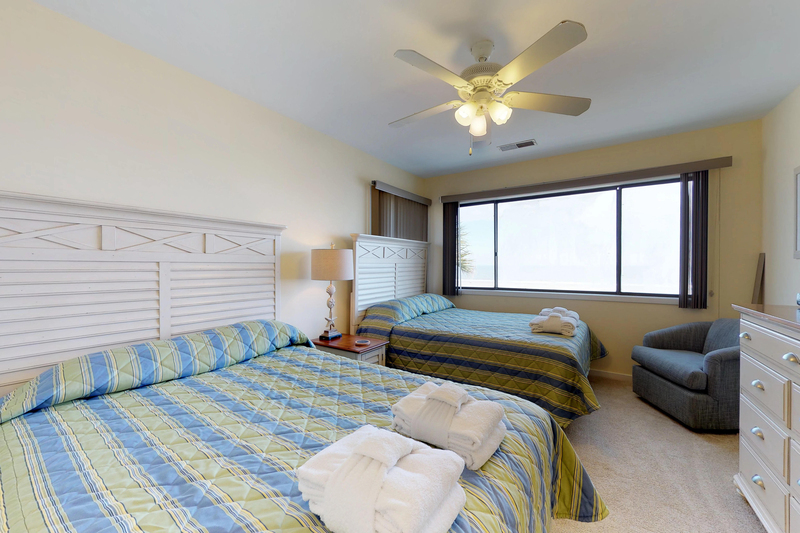 Two bedrooms are located on the main level. 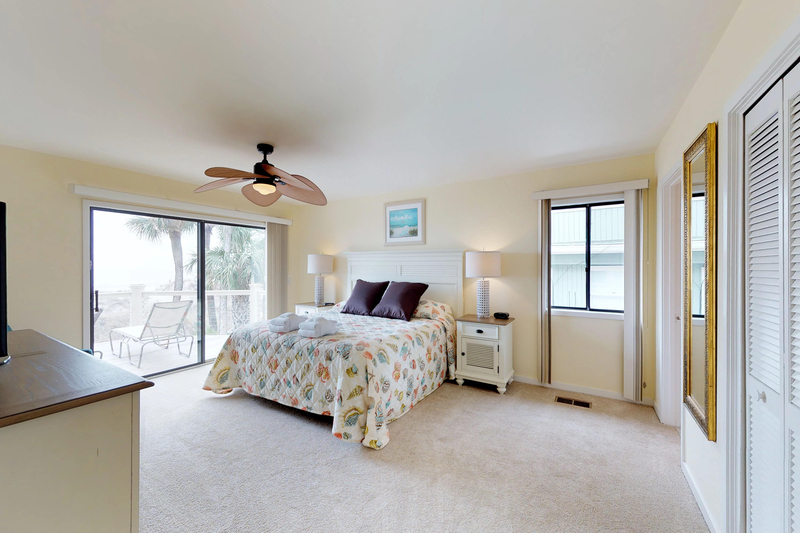 The roomy master bedroom has a direct view of the ocean and 32" flat screen TV. 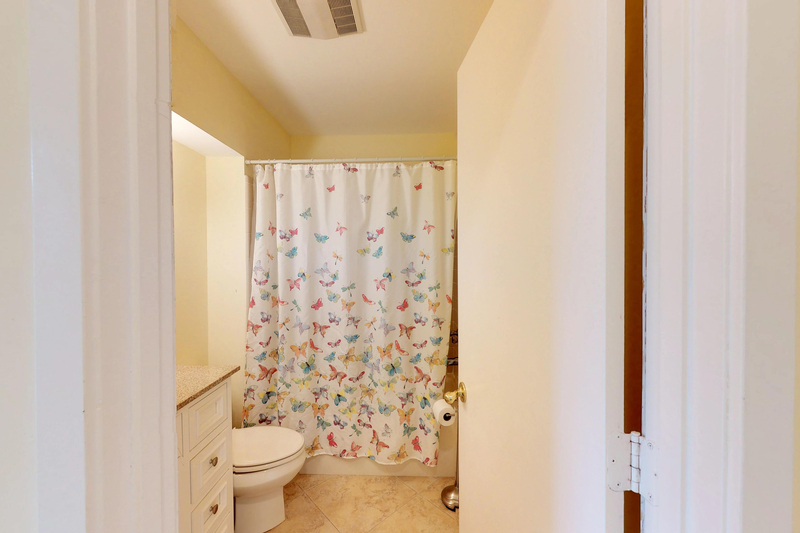 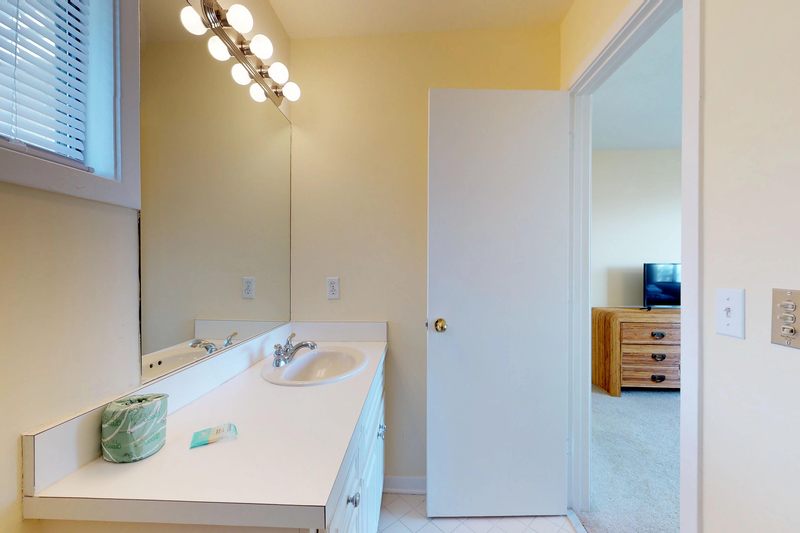 There is a large master bath with double vanities, large jacuzzi tub, and separate walk-in shower. 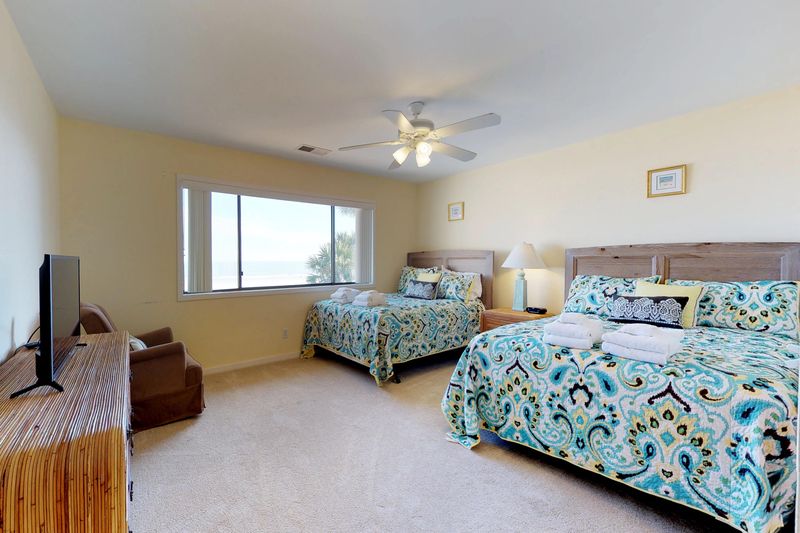 A guest bedroom is also on the main level and also has a nice ocean view. 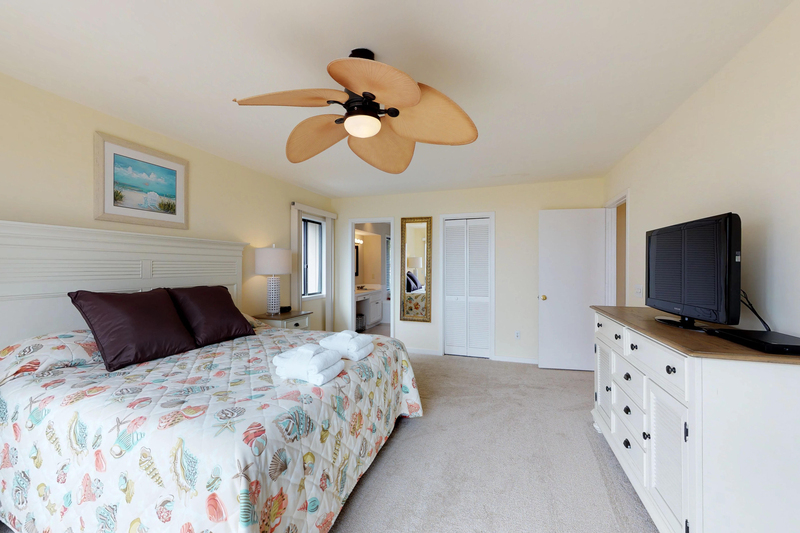 This bedroom will have two twin beds, 32" flat screen TV and access to a newly renovated hall bath with new vanity, counter-top, and a tub/shower combination. 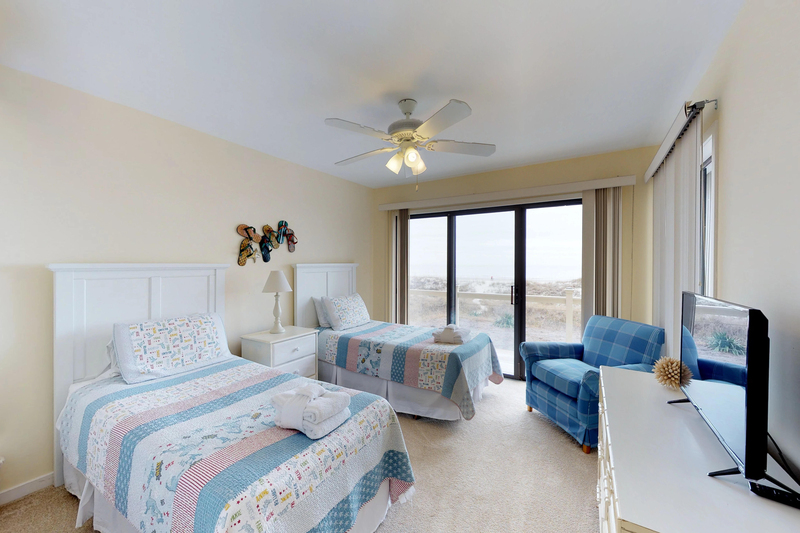 The third and fourth bedrooms are on the 2nd level. 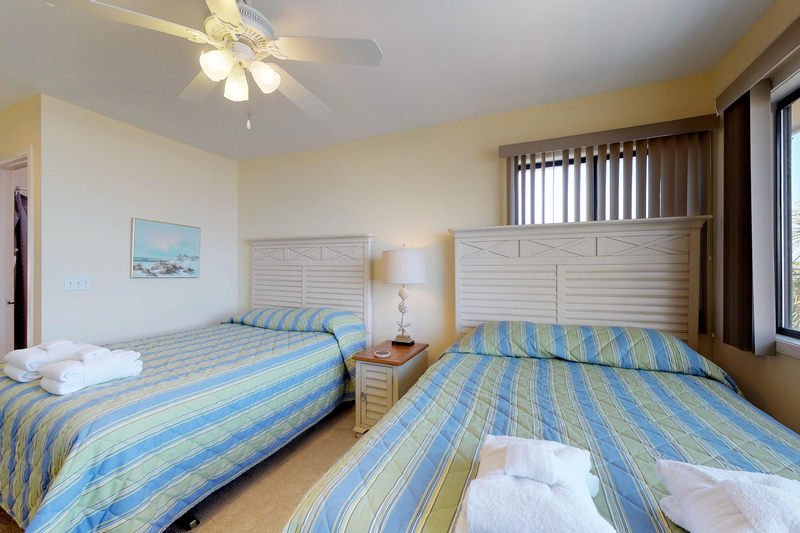 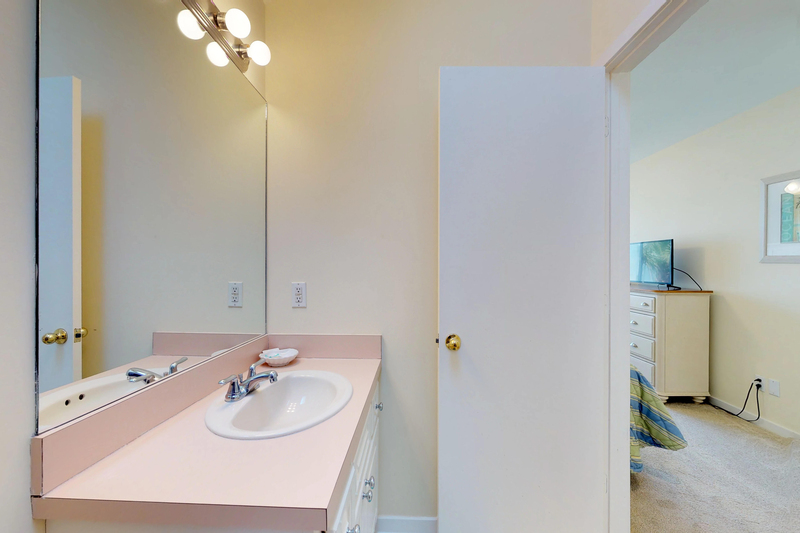 Both these guest bedrooms have direct ocean views and private baths with tub/shower combination. 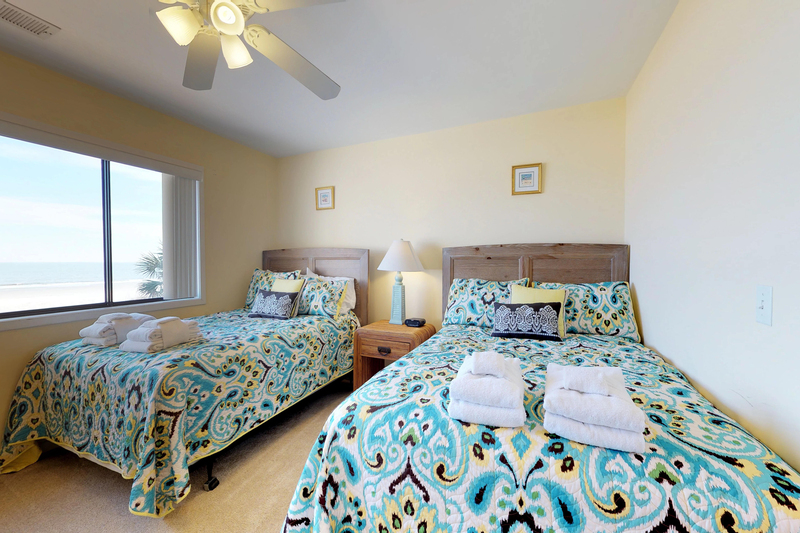 One will have two queen beds, and the other will have two double beds. 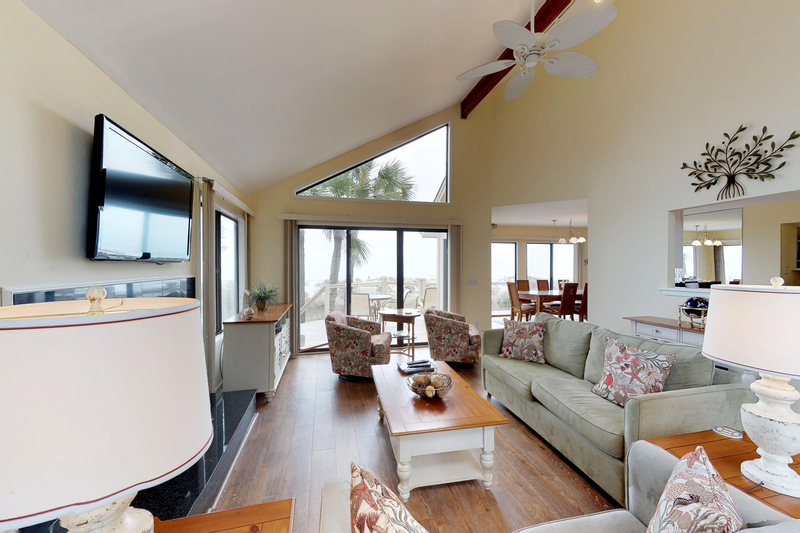 Both will have 32" flat screen TVs. 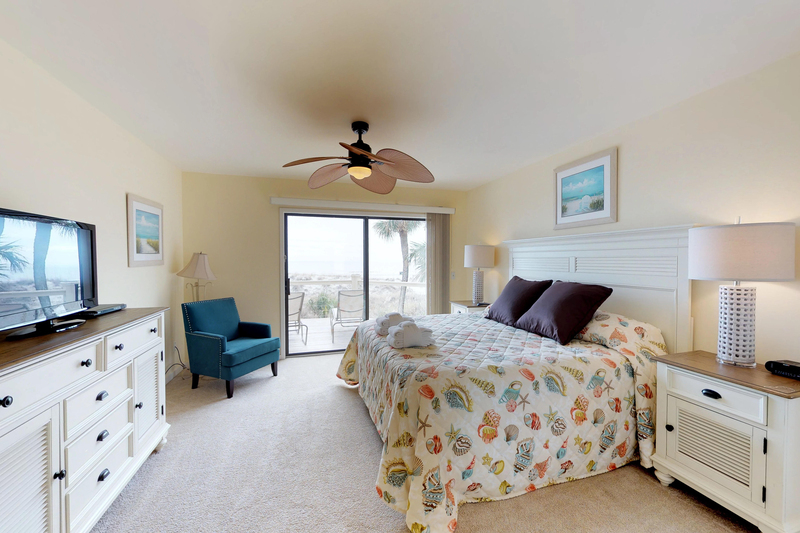 For a great beachfront experience you should consider Ocean Dream for your next vacation. 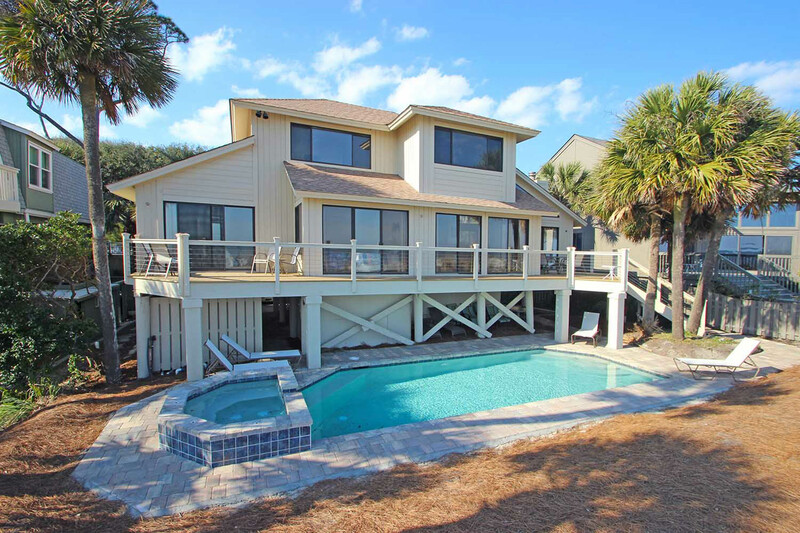 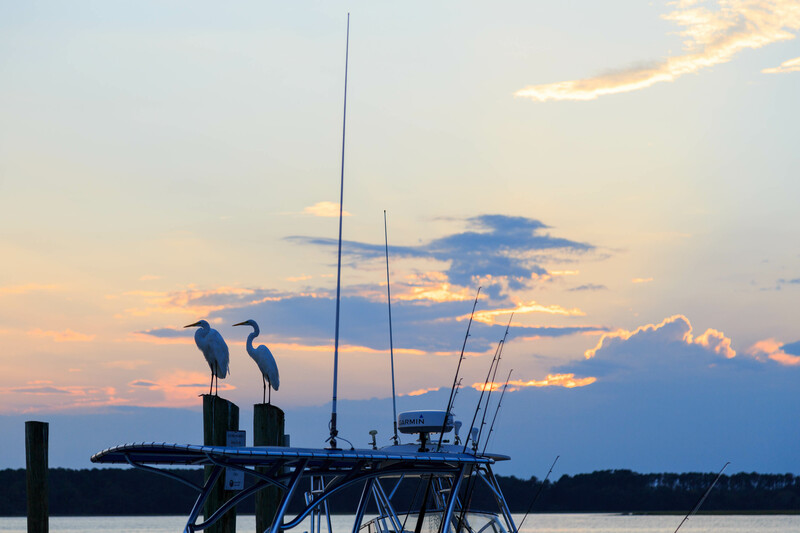 It is a perfect vacation setting for families, small groups, or couples! 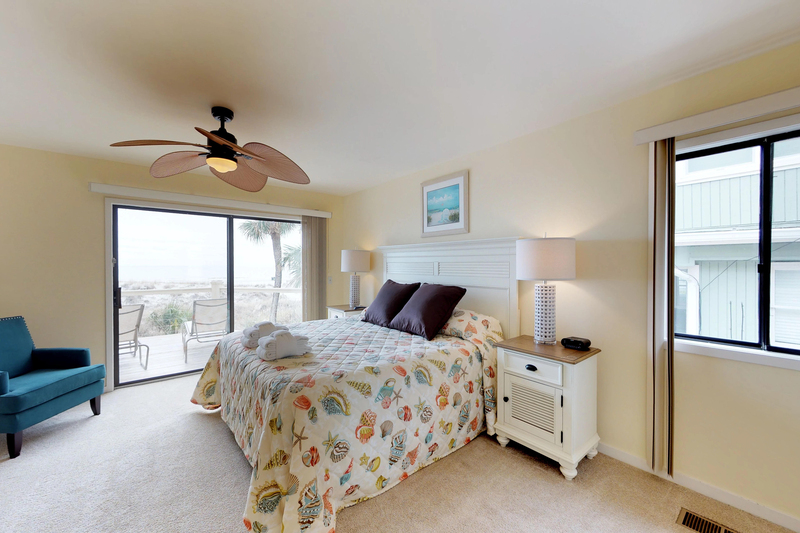 Thank you for your review. 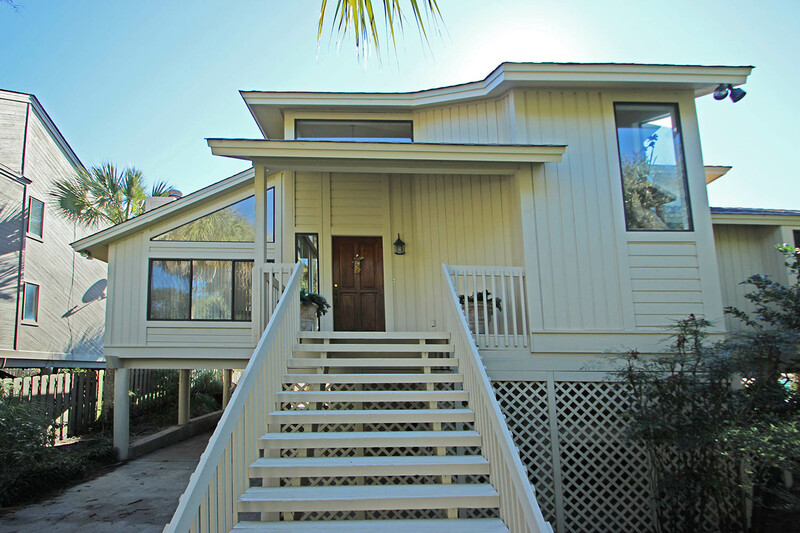 The maintenance items have been repaired.